A show about people changing the world. Including you. 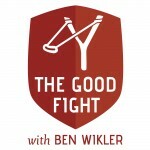 Learn more at TheGoodFight.fm. Powered by MoveOn.org.